Following the launch of the National HR Management System Standard in 2013, the HR Standards journey continues with the SABPP auditing unit auditing several organisations against the standard. SABPP is well positioned to manage audits, being an Education Training Quality Assurance Body delegated by SAQA to conduct quality assurance, and accredited by the Quality Council for Trade and Occupations as an Assessment Quality Partner in the new occupationally-driven skills development system. These quality assurance roles, in addition to accrediting the HR curricula and learning provision of universities for more than 20 years, have ensured that the auditing unit has the credibility, experience and capacity to effectively manage HR audits against the new National HR Management System. Moreover, a strong pool of 128 auditors are ready to audit companies against the National HR Standard, and nine audits have already been conducted in Gauteng, Western Cape and Kwazulu-Natal. During February 2014, the first group of 15 Lead Auditors were trained By Dr Michael Robbins from International Management of Risk (UK). They were trained on the principles and sound practices of auditing, with a specific focus on how to audit the 13 elements of the National HR Management System Standard. The first group of Lead Auditors were mainly HR consultants, but also HR Professionals from top companies such as African Rainbow Minerals, Angloplatinum and Assupol. Since 2014 six groups of auditors have been trained. The requirements for the competence of auditors and lead auditors will ensure the level of competency established both for auditors and lead auditors will enhance the professionalism of individuals carrying out the HR audit of an organisation. The establishment of and training in these competencies will help minimise any inconsistency between individual auditors and the audit results. This in turn will lead to increased confidence for the SABPP audit unit and organisation being audited. The auditor competence requirements relate to auditors and lead auditors who undertake audits within the scope of the SABPP Human Resource Management System standard for attaining certification from the SABPP audit unit. The term auditor refers to a person with many years of senior HR consulting/HRM experience, who is an SABPP registered professional at HRP level or above, who has completed an HR Standards workshop, and who has been trained to conduct an audit. Lead auditor refers to a person qualified as above and appointed as audit team leader, responsible for leading the audit team. Experience requirements for Lead Auditors are 10+ years of senior HR consulting/HRM experience. SABPP auditors must sign the SABPP’s Code of Ethics for Consultants so that ethical governance can be exercised by the SABPP. An organisation will submit a request to be audited against the National HR Management System Standard. The organisation will get evidence ready about compliance of the 13 HR standard elements using the SABPP Audit Assessment Tool. A Lead Auditor and three auditors will be allocated and a site visit arranged to conduct the audit. The auditors will use the SABPP Audit Scoring Tool to allocate points per standard element as well as an overall percentage score for all 13 elements combined. An audit report is send to the company, as well as a presentation on site. If meeting all the requirements, the organisation is certified compliant with the requirements of the National HR Management System Standard. For certification, an organisation must achieve a 60% overall average score. Within this average, no more than 2 Standard elements may be below 60% and these must achieve at least 50%. The Audit Unit Head will have discretion to award certification in unusual cases, for example, where a one element scores marginally below the required standard, but the overall achievement is excellent. Any element below 60% requires a development plan. If one element scores particularly low (for example, 20%), but all the other elements meet or exceed the requirements, the organisation could ask for a re-assessment after 12 months, just on that one element. The methodology and process of auditing companies against the National HR Management System Standard has been set up to provide organisations with an opportunity of being audited on the quality of their HR system. This will assist HR leaders with an independent review of the strength of its HR Management System, as well as identifying opportunities for improvement. Being certified independently against the National HR Standard, strengthens the role and position of the HR Director and will provide confidence to Excos and Boards that HR strategies, practices and risks are effectively managed in the organisation. Moreover, nationally the HR Audits are positioned to raise the bar for the HR profession by establishing HR credibility, status and independence as already achieved by several other professions. An earlier version of this article was published in HR Future. For more information about the HR auditing process, please contact the SABPP Audit Unit on (011) 045 5400 or hraudit@sabpp.co.za . HR Professionals who are interested to become Auditors or Lead Auditors must complete a training workshop in auditing or lead auditing, after they have completed an HR Standards Workshop. 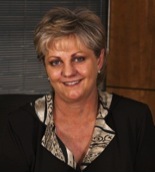 Christine Botha is Head of the Audit Unit at SABPP, and Marius Meyer is CEO of SABPP.